With an incredibly unique culture established over 1000’s of years Japan is truly a destination like no other. The Japanese are known to be incredibly inviting alongside their landscape which bodes some of the most beautiful scenery in the world. Tokyo, one of the most densely populated cities lies only hours from the nearest ski fields which field some of deepest, softest powder thanks to the roaring winds coming off the Sea of Japan. Bullet Trains, Tori Gates, historical sites and of course the Hanazono Rugby Tournament are just some of the magical sights and activities scheduled for your tour. All additional inclusions can be tailored to your groups needs. ABT can also provide a recommendation for your group on a series of activities we feel would suit your group based on the duration of your trip and the size of your group. The combination of cold air, moisture from the Sea of Japan, and the lift created when the wind hits Japan's mountains is what creates some of the best snow in the world. 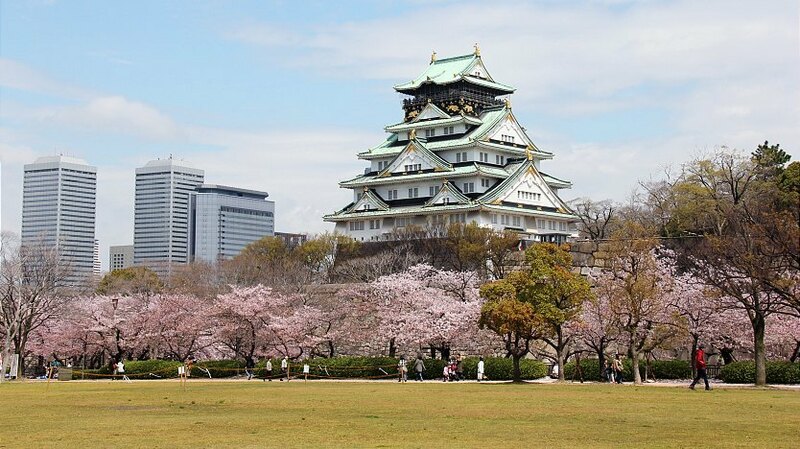 Rated one Japan’s most famous landmarks and one of the top cultural muesums in the world Osaka Castle is a must for all those who venture to Osaka. Held annually since 1917, The HRT is host to all 47 prefectures of Japan and is one of the nations most prestigious high school events. The peace park is dedicated to the legacy of Hiroshima as the first city in the world to suffer a nuclear attack, and to the memories of the bomb's direct and indirect victims (of whom there may have been as many as 140,000).